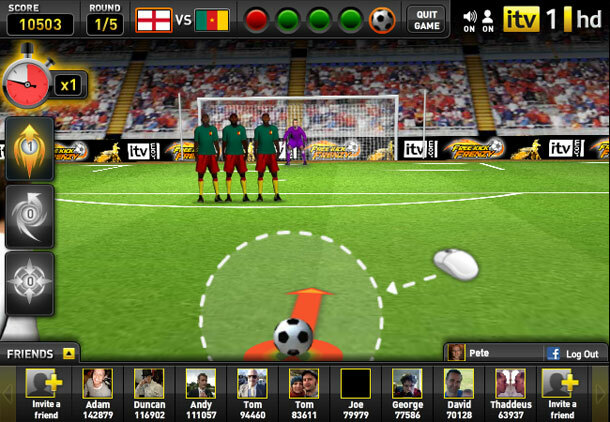 ITV asked us to build them the best free kick game on the web to promote their World Cup coverage, so we gave them Free Kick Frenzy – a slick, fast-moving and fully connected footy challenge. 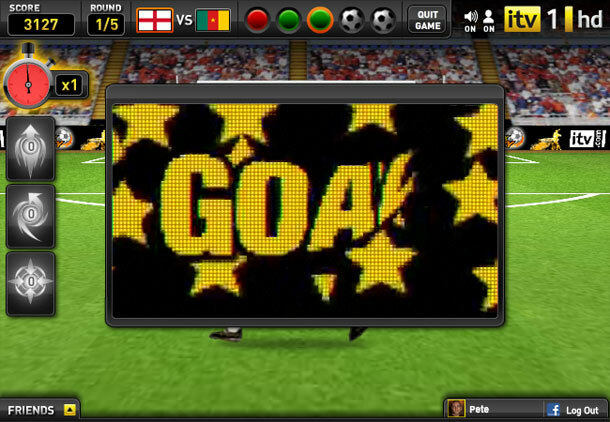 With classic commentary provided by ITV’s own Clive Tyldesley, the game features a full training mode followed by a challenging five rounds of World Cup action – if you’re good enough. 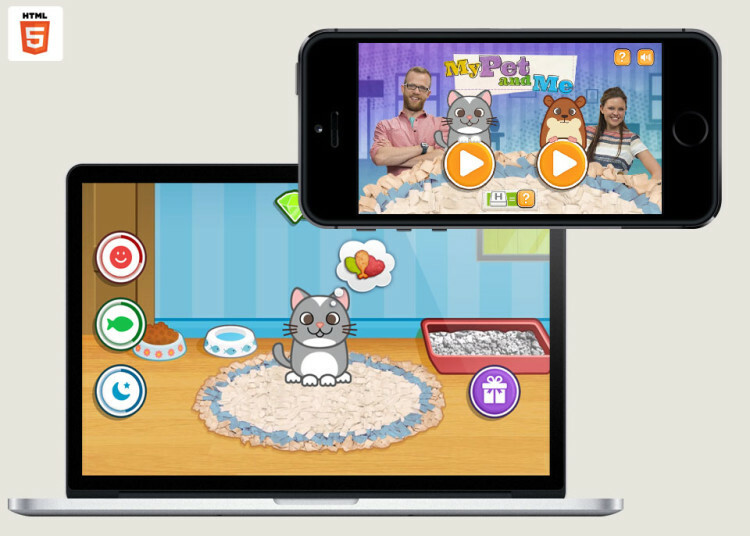 You can brag about your best scores through Facebook or Twitter, and see your mates’ high scores using Facebook Connect. 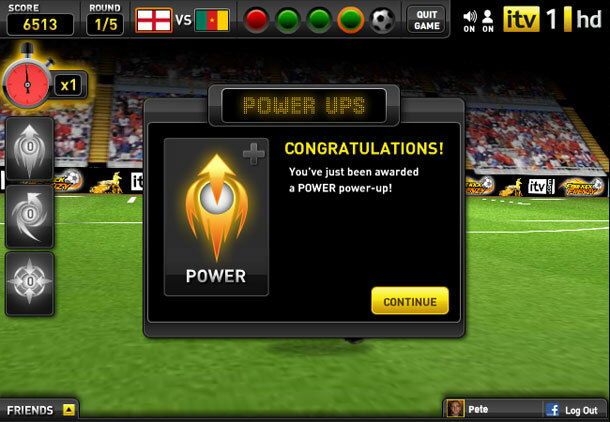 Using a unique interaction method that requires only a single mouse click to set the angle, power and spin on any shot, Free Kick Frenzy is easy to grasp but difficult to master, as the stats show: after its first weekend, the average game dwell time was over 12 minutes per user. 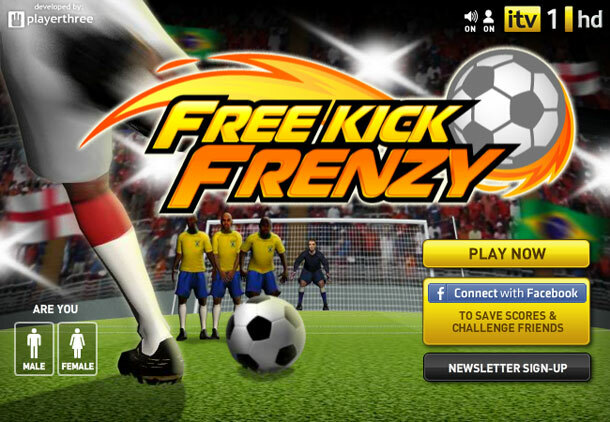 “Once again Free Kick Frenzy is flipping ace! Top work, dead chuffed with it and everyone here is loving it!”. 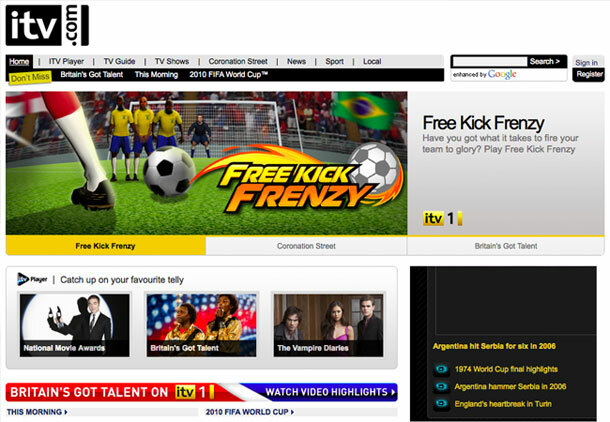 It transpires that because Free Kick Frenzy was locked to ITV’s website, hundreds of flash sites leached the game directly from ITV. 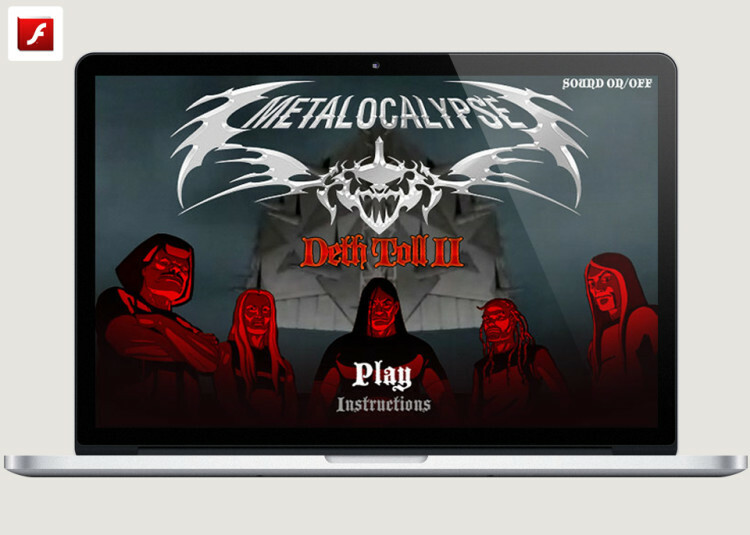 Eventually it was taken down unfortunately but we like to think of it as a classic in the genre.